There’s no other houseplant like cactus that needs such a sharp distinction between winter and summer placing. In summer your cacti have to grow intensively, but in winter it happens quite on the contrary, and you need to stop their growth to avoid deformed winter increase and exhaustion. In their homeland different types of cactus plants have a natural period of rest during summer draughts and with the first rains they start growing again. But we have to establish simulated conditions of rest in wintertime and in late autumn, when cactus plants are short of light for their normal growth. First of all, it’s necessary to reduce watering gradually, just to prevent drying up and withering of roots. Second of all, you should lower temperature on windowsills to 5-10 °C.The second condition is a must, because if you keep cactus dry by usual room temperature, its stalk will go on evaporating water, the plant will fade without watering and won’t rest. 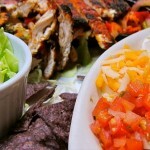 Low temperature slows down its breathing and metabolism process. If you organize wintering for cactus properly, your prickly friend won’t get dry. It will grow stout and ripen. The easiest way to low down temperature on the windowsill is to set a light glass frame on its edge. It will protect your cactus from the heating battery. Thermometer is essential to control temperature during all winter. If it shows 5 °C, it’s better not to risk and to warm your window-frames with a woolen blanket, but not on any account you should remove the glass frame until central heating is cut off. The same placing is suitable for spring and autumn, but without a frame. 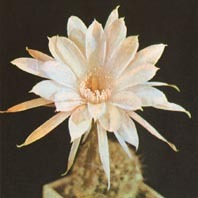 Cacti can hardly stand abrupt changes of watering and placing. 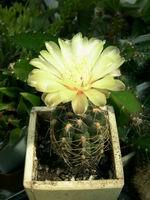 That’s why the general rule in cactus care is a graduality in condition changing. In summer cactuses need maximum of fresh air and sun. 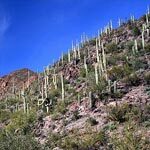 Fresh air comes first for a reason: only those collectors achieve proper growth, good fuzzing and flowering of their prickly friends, who keep their cacti in the open air twenty four hours a day during the whole summer. If you have no balcony, you can keep your cactus types on weatherboards of your windows or in boxes strongly fixed on the outer end. But in that case you will have to protect your cactus plants from the rain, dust and wind. I’ve made a polyethylene film cap, letting ultra-violet rays pass through. So now my cacti have beautiful big thorns, which they would have never developed under a glass cover. I also advice you to keep and carry all your cactus pots on a tray. It is safe and convenient.